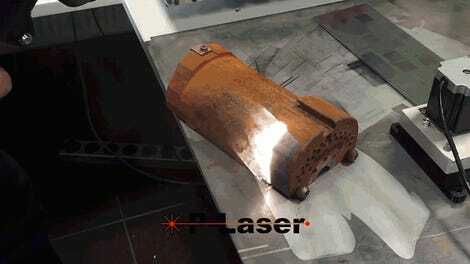 A strong enough laser can burn things, clean things, pop things, and most impressively, move things. Yep. 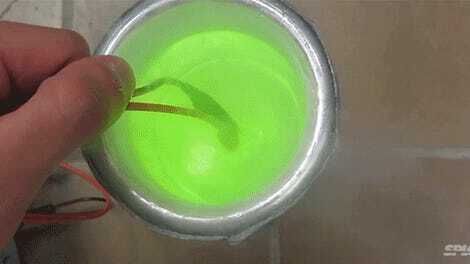 Watch this powerful laser shining into a piece of aluminum foil suspended in a vacuum and you’ll see the foil starting to sway back and forth from the ultra light beam. Cody’s Lab says “the light imparts momentum(P=E/C)” and explains that this works similarly to the solar sail—a type of spacecraft propulsion that uses light (sunlight, lasers, etc.) beamed on mirrors to create radiation pressure and push itself forward through space. It’s pretty neat to see light create movement, even if it’s on a much smaller scale than a spacecraft sailing off on pure sunlight.